MAGWELL Dewatering Screen is available in different models to efficiently dewater up to 300 TPH. While most concrete and masonry sands typically retain from 18 to 25 percent moisture, the MAGWELL Dewatering Screen cuts that moisture down to as low as 10 percent—providing salable material in less than a day. 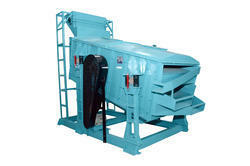 We manufacture and supply Rotary Screen Separator for various industries.We have recently supplied 4 units for separating pet coke to a very reputed glass product manufacturing company.These screens are available in various sizes as per the customer's requirement. 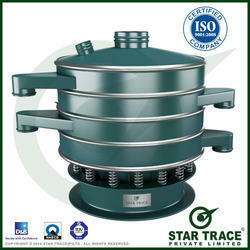 We are a noteworthy manufacturer, exporter and supplier of premium quality Gyratory Separator . It is used in food processing industry and is manufactured by our professionals using the best quality . Uses: in classifying, de-dusting, sifting, scalping, de-lumping of dry bulk solids. Screen Separators is a unique particle size gradeable separator designed for greater capacity per metre square of screening area & over size material discharge with relatively much less percentage fines than other screening machines. Capacity: 100 - 3000 kgs/Hr.